Valentine's Day seems like it's fast approaching. 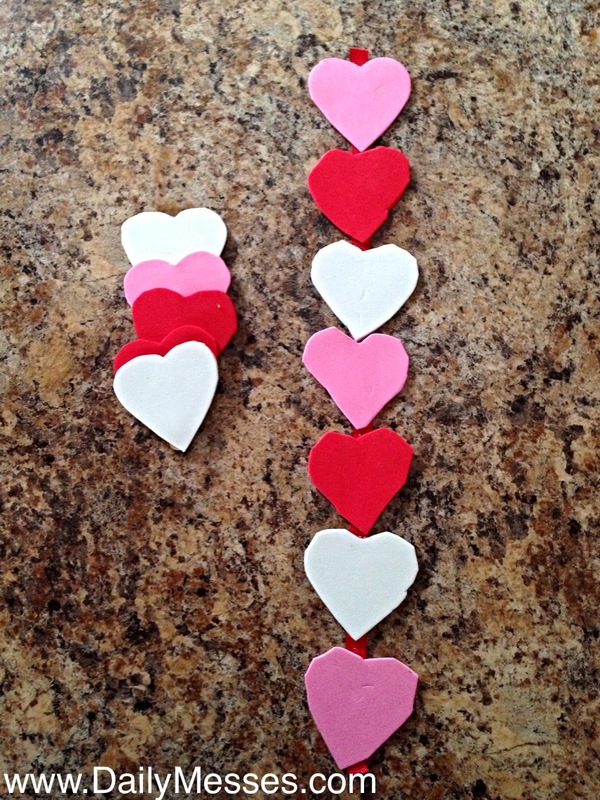 The boys wanted to make a craft, so we made a Valentine's Day magnet and bookmark. The bookmarks could even make a cute Valentine! 1. Cut out heart shapes from the foam sheets. 1. Glue hearts onto the popsicle stick and let set. 2. Attach the magnet to the back of the popsicle stick. 1. Cut the desired length of ribbon. (You could probably use a piece of cardstock or foam craft sheet too.) DM Tip: I rubbed glue onto the ends of the ribbon so it wouldn't fray. Clear nail polish works great too. 2. Glue on the hearts and let set. 3. Enjoy! Bernardo wanted his plain, but you could add glitter, stickers, or even write on words/sayings.